Lajames International College is engaged in educating students for more than 75 years. It became accredited in the year 1972. It has remained premier educational system owing to the continuous drive to follow curriculum in the sectors - microdermabrasion for estheticians, hot stone massage for massage therapists and spa training for cosmetologists. 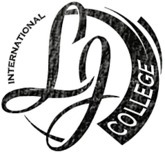 Lajames International College started the Global Learning program in 2002. Under this program, students get opportunity travelling within United States, San Francisco, New York and also to international destinations like Paris, Germany, Montreal, Rome and Mexico. Its main principle of Global Learning shows the path to students to the benefits in beauty profession. It also offers cultural exposure, networking capabilities and education from educators worldwide. There are currently 0 consumer reviews about Lajames International College available. Share your review. Please take a note that you are about to post a public review about Lajames International College corporate office on CorporateOffice.com. This review will be public, so please do not post any of your personal information on this website. If you would like to contact the corporate offices of Lajames International College, please use their contact information such as their phone number, website, and address listed above to contact them. However, sometimes staff from Lajames International College headquarters do read the reviews on this website.